Today's announcement to mandate more charge points across the UK through all new homes and offices follows the EU's recent adoption of the second Energy Performance of Buildings Directive. The EU legislation sets a requirement to install pre-wiring infrastructure for resi schemes with more than 10 spaces and for 20% of spaces on commercial buildings. Although the EU legislation will post date Brexit it is likely to be influential upon the approach taken by the UK. How housebuilders will react to the consultation is interesting. At last week's EV infrastructure summit housebuilders present were concerned about backing the right type of technology and not saddling developments with problematic third party infrastructure rights that could affect resale and funders. 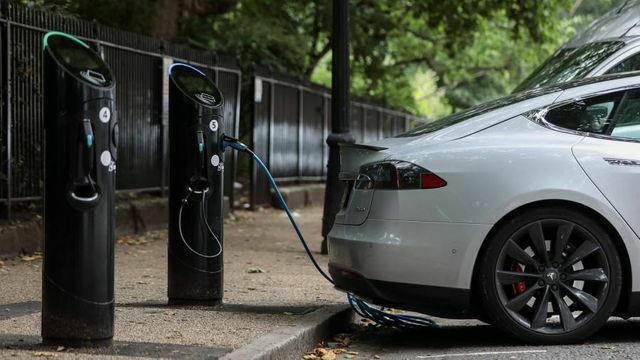 The UK is to seek to mandate charging points for electric cars in new homes, offices and on residential streets in an attempt to spur public adoption of zero-emission vehicles. Ministers will on Monday set out plans to roll out “hundreds of thousands” of charging points across Britain in the coming years, ahead of a move to phase out the sale of traditionally powered cars by 2040. The government has to eliminate carbon dioxide emissions from road transport by 2050 under its climate change targets. Ministers will consult on bringing in new rules to force all new homes in England to fit charging points for electric cars. It will also require chargers at other buildings such as offices, and on all new lampposts. Need to factor electric car charging into park development plans.